When you planning to create a new theme for your website, then custom menu plays an important role. Custom menus are also used to add additional menus to your current working theme. Just by entering a few lines of code, you will able to create a custom menu for your website. 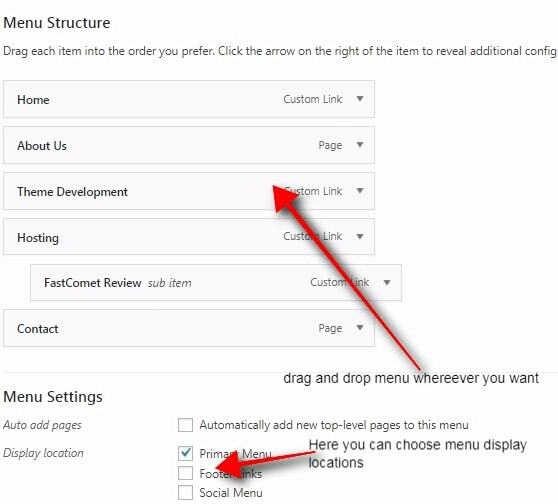 The following procedure shows how to create custom menus in WordPress. Note: Create the pages which are to be displayed on the menus of your website, before starting the process of creating custom menus and displaying it. For example(About us, Contact us, Home, Careers etc). If you add this code in a functions.php file, then the menus will be added under Appearance > Menus > Theme Locations. Note: You can give the above snippet anywhere as you wish, wherever you give it works. So nothing to get much stressed about displaying the menus. 1. In your WordPress admin dashboard, you will find Appearance > Menus option. Then click on the “Edit Menus” option, you will find a link as create a new menu, click on to that link, and create a name for your menu. And then click the Save menu button. 2. Now your menu is ready, you can add items to your menu which is on the left-hand side. There you can select the posts, pages, or categories and then click on the add to menu tab. 3. You can even click on the Screen Options at the top right of the WordPress dashboard to activate further menu items options. Now you will able to see your menu items as a list in the newly created menu. In order to add new custom link menu lists in your menu, you have to add custom link URL and your own custom text. 4. You can change the order of your menu list and even create a submenu, by just drag and drag. Just drag the left or right items in order to create submenus within your custom menus. 5. Once your menu is ready, you have to choose a place for the custom menu to appear. Move on to the Manage Location tab at the top of the Menus screen. Once the location is selected, click on the save changes button. These are the basic procedure to create a custom menu. You can add any effects, styles, images in your custom menu. 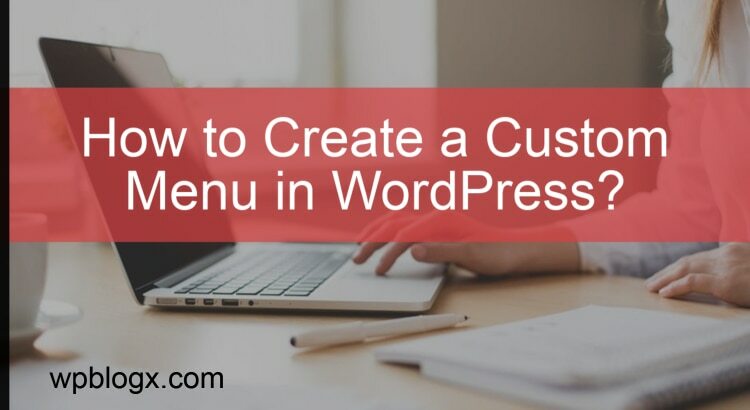 This article just states you on how to create a custom menu in WordPress. 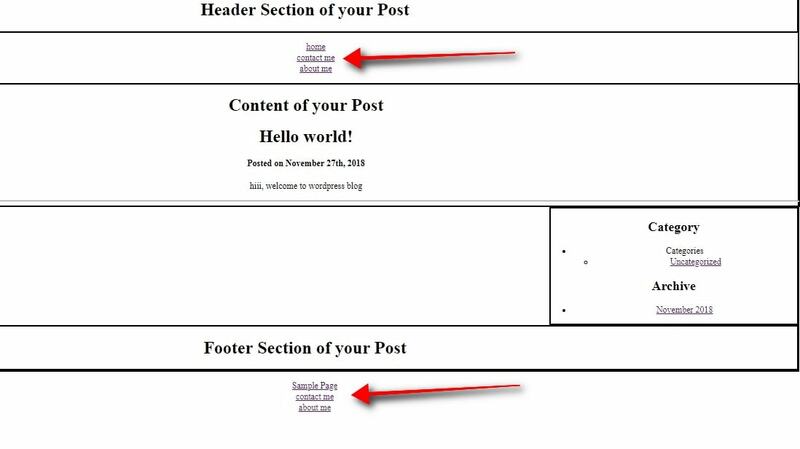 Hope you got a basic idea of creating a custom menu in WordPress. If you have any queries or comments, please feel free to comment to us. You can subscribe to us at Facebook and Twitter. What is WordPress Hook? How to use Hooks in WordPress Development With Examples? 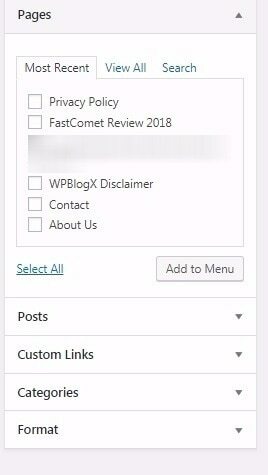 Part 4: How to Implement Post Loop in WordPress?